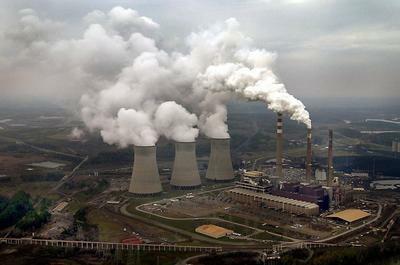 The Paradise Fossil Plant in Drakesboro currently has three coal-burning units. By the spring of 2017, that number will be cut to one. Construction crews have cleared about 60 percent of the land needed to begin building a new natural gas facility at the Paradise Fossil Plant in Muhlenberg County. The new plant is scheduled to open by spring of 2017, and will take the place of two coal burning units currently in operation at the TVA facility. Speaking to reporters Tuesday at the future site of the new gas-burning unit, Transition Manager Billy Sabin said this week’s announcement of new E.P.A. regulations on power plant emissions won’t impact the Paradise Fossil Plant, because the TVA had already decided to reduce carbon emissions at a much faster rate than what the federal government is now seeking. Sabin says the excavation stage of the new cleaner-burning gas plant project will be completed by early 2015, with construction of the facility following. He says the new facility, known as a combined-cycle gas plant, has several advantages over the older coal-burning model. “They have a larger range of flexibility, they’re more efficient, they can meet the load demands that we have, ranging from the high peaks in the middle of the day in the middle of summer, to the low peaks that we have in the evening time and the middle of the night." The Paradise unit that will continue to burn coal currently meets federal environmental standards and will not need any upgrades. Both of Kentucky’s U.S. Senate candidates are denouncing new federal guidelines related to greenhouse gas emissions. 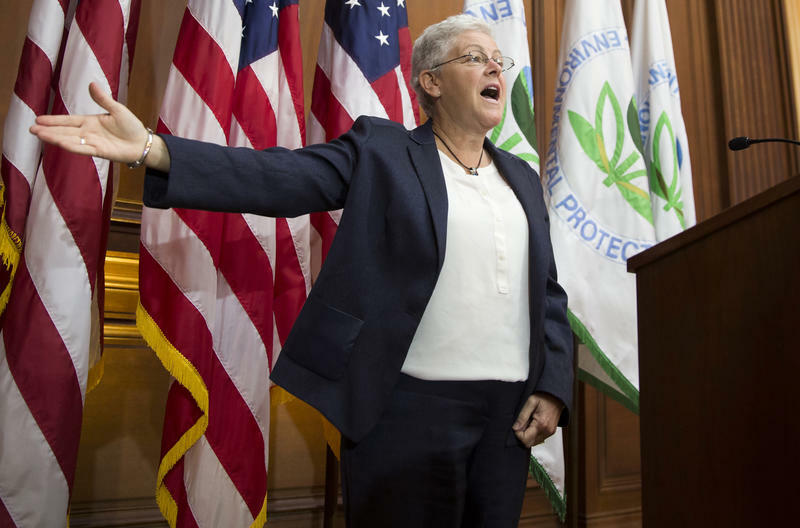 The Environmental Protection Agency announced Monday that power plants will have to reduce carbon emissions 30 percent by the year 2030. While Republican Senator Mitch McConnell and Democratic Secretary of State Alison Lundergan Grimes have exchanged harsh words about who is best to represent the commonwealth in Washington, they both believe the EPA’s first-ever limits on carbon pollution from power plants represent a federal overreach that will harm Kentucky’s economy. Calling it a “national energy tax” imposed by the Obama Administration, Sen. McConnell said he will introduce legislation to block the new rules. A new report on U.S. power plant emissions says Kentucky has the highest rate of carbon dioxide emissions in the nation. The report was produced by environmental advocacy groups, energy companies, and Bank of America. Kentucky topped the ranking of states emitting the most carbon dioxide per megawatt-hour of power produced, followed by Wyoming, West Virginia, and Indiana. Tennessee ranked 26th. Dan Bakal is Director of Electric Power at CERES, one of the environmental groups that prepared the report. He says states like Kentucky can follow the example of Ohio, which has decreased its carbon emissions in recent years. “They have really made a move to diversity their energy mix by shifting away from coal, increasing natural gas, increasing renewable energy, and also investing in energy efficiency in a very cost-effective way,” Bakal said. Supporters of the coal industry—including Kentucky U.S Senator Mitch McConnell—say increased federal regulation is costing jobs and hurting local economies in places like eastern Kentucky. While many on the left embraced the Environmental Protection Agency's new rules to reduce coal-burning power plant carbon emissions by 30 percent by 2030, some red state Democrats couldn't put enough distance between themselves and the Obama administration. You would have had a tough time, for instance, distinguishing the reaction of Kentucky Democrat Alison Lundergan Grimes from that of the man she hopes to replace, Sen. Mitch McConnell, the Senate's top Republican.